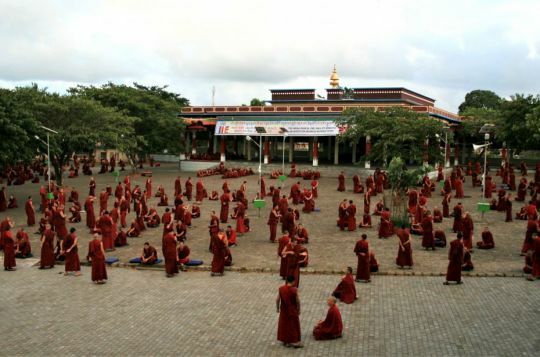 Debate in the courtyard at Sera Je Monastic University, 2009, India. Photo courtesy of Ryan Matsumoto. In the twenty-minute video below, Sera Je International Mahayana Institute (IMI) monks Vens. Tenzin Gache and Tenzin Legtsok give a demonstration of monastic debate in English, introduced and explained by Ven. Gyalten Lekden. As the monks and nuns in geshe studies programs in Tibetan monastic institutions normally debate in Tibetan only, no matter what their first language, debate in English is rarely seen, and this video has been made by Claudio Curciotti and the Western monks to show English-speakers how debate works. Ven. 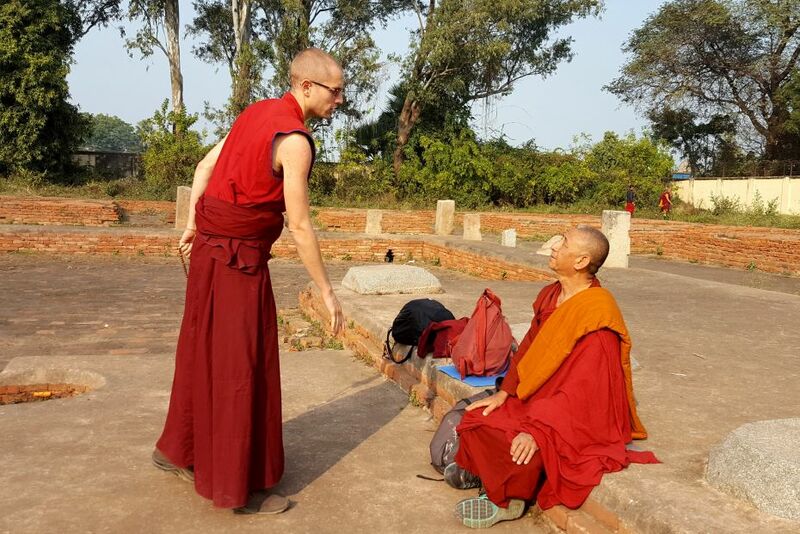 Tenzin Gache (standing) debates with Geshe Thupten Zopa on the grounds of the ancient university of Nalanda, near Bodhgaya, India, January 2017. Photo by Zarina Osmonalieva. To learn more about debate and other aspects of geshe studies, and watch a short video of debate in Tibetan, see “Dhi! Ven. Tenzin Namjong on Debate, Study, and Life at Sera Je,” a Mandala online feature.